My old minivan, after years of valiant service, was taken out by a famous (yes, famous) Denver dip. I’ll admit, at first, I was thrown into panic at thought of getting to internship, school, work, and fun outings without old faithful. The flames of this fear were fanned by the fact that I live way West, work way South, and want to be able to stay out late on the weekends. 2. That being said, I suggest, you keep this little gem somewhere safe as there are officers on almost every light rail that WILL ask you for your card and verify that you tapped it before boarding. 3. Google is your friend. The maps option under directions is fairly accurate. My only edit is to find stations that may take less transfers to get to as I don’t mind walking. 4. Plan ahead. If I’m traveling from Lakewood to Centennial, these are days I need to leave oddly early and plan my route the day before. Some buses only run every hour, so it’s always good to at least check on what your options might be. 5. Light Rail is more reliable than Bus. The Light Rail almost always comes the minute it is scheduled (aside from the occasional game day or extreme weather hiccups). The buses are typically 5-10 minutes late. I learned the hard way not to plan on arriving anywhere just on time by bus. 6. The buddy system is still relevant. When out late, I prefer to have a friend or someone traveling a similar route so that I am never alone walking or waiting at stops during late hours. 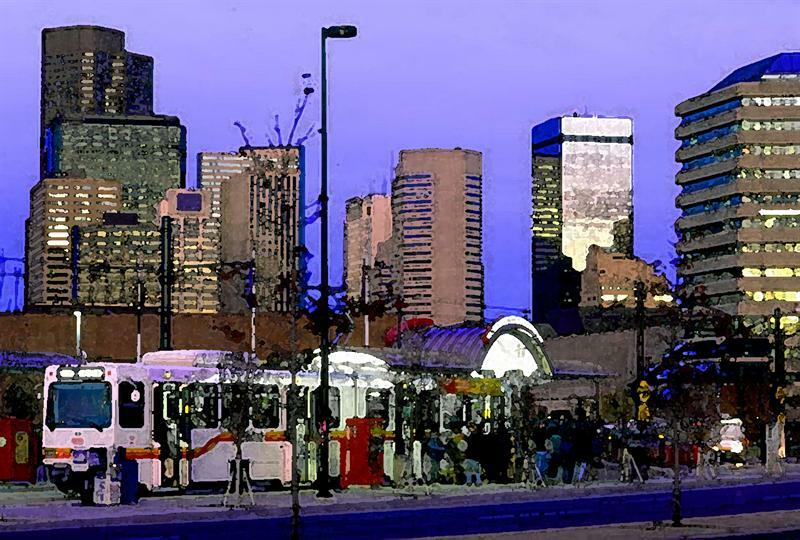 In sum: Have no fear, Denver public transit is here! The Graduate School of Social Work & the University of Denver will be closed from Tuesday, December 25, 2012 – Tuesday, January 1, 2013 in celebration of the Holiday Season! Thank you to everyone for your continual support of GSSW. Our school could not be the amazing community it is without everyone’s support, and contributions. Megan Gage (formerly Boyle), a 2006 graduate of DU’s Graduate School of Social Work, will appear on ABC’s Shark Tank on January 4, 2013. The popular business-themed reality TV show provides an opportunity for hopeful entrepreneurs to pitch their concept to very successful business men and women known as “sharks” in hopes of obtaining a powerful partner. Gage, founder of Hot Tot, will pitch her specialized children’s hair product line. Founded in 2010, Hot Tot produces professional hair products for babies and children without the use of harsh or harmful chemicals. Her eight-piece line offers specialized options designed to cleanse, condition and style immature (children’s) hair. Tune into Shark Tank on January 4, 2013 at 8pm on Denver’s Channel 7 to see if the sharks will bite! See picture below for some of her unique products! Wish her luck!! Thanks to Brad Miller, Director of Admission with the Korbel School of International Studies here at the University of Denver for this posting. GSSW Admission Office echos Brad’s words. This is also food for thought in your professional journey as well! You don’t think email address is important, it is! GSSW Alumni Rebecca Meyers writes in response to recent discussions around Child Welfare. Thanks for being a great representative for GSSW Rebecca!